Samsung published the first Galaxy Round commercial on Monday, which just happened to hit YouTube a few hours after LG officially announced its own curved handset, the G Flex. The 30-second ad focuses entirely on the device's shape, comparing it to a number of familiar curved objects including an egg, an avocado and even a flask. The commercial appears to contradict earlier reports that the Galaxy Round is actually a sort of public prototype with an extremely limited launch even in South Korea. We still don't expect Samsung to launch the new phone outside its home country, so it makes sense the ad is entirely in Korean. 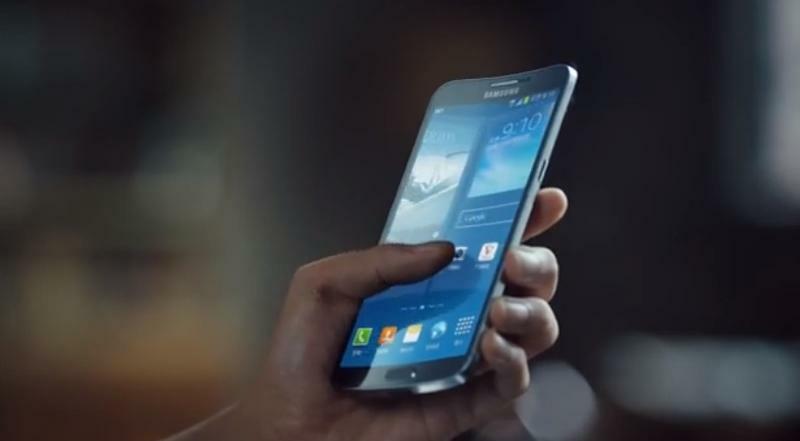 The Galaxy Round looks like a curved version of the Galaxy Note 3, but Samsung's new commercial fails to convince us there's a real practical purpose for the curves, save for the added benefits that flexible displays offer for strength. The device comes equipped with a 5.7-inch 1920 x 1080p display made from Super Flexible AMOLED, a 2.3GHz quad-core processor, 3GB of RAM, 32GB of internal storage with microSD support, a 13-megapixel rear camera, a 2-megapixel front-facing camera, a 2,800mAh battery, NFC, and comes running Android 4.3 with Samsung's TouchWiz UI out of the box.